One of the reasons that attracted me to Bali this summer, was its amazing reputation for massages and treatments. Excellent quality and really affordable price, and when I booked my flight I was already daydreaming having a massage a day and feeling blissful and pampered. Some general information : for all the Spas I advice you to book them few days ( or weeks) in advance if possible because they are very popular, so you are sure to have the best experience and choose also the timing of the day that suits you the best. Also even if in the article I comment some of the services and treatments to compare one centre with another, honestly they were all giving amazing value for the price offered, incredible kindness and professionalism which is really not comparable with our western standards. This is the first massage experience, just two days after arriving. I booked a treatment that included a 6o minutes massage, a scrub with green tea and a flower bath. And a manicure. The whole process lasted about 3 hours and I loved every minute of it. I arrived welcomed very kindly by the local staff and offered a welcome drink. Then I got to answer to a questionnaire about my health and the points I'd liked to be touched or not as well as the pressure of the massage in different points, and I found that so useful because it avoided confusion during the actual massage experience. It was a magical experience and I have to admit I particularly loved the flower bath with view over the jungle, and I couldn't help it but venturing out of the bath to take my phone and snap a shot of the view ! LOCATION : The spa is located at which is a bit outside of the centre, but don't worry , as anything in Ubud is very easy to reach if you have a scooter or like I did simply ask for the free pick-up by car when you book the massage ( included in the massage price!). PRICE : The package with scrub, massage and bath was 240,000 Rp and the manicure Rp 150,000. The equivalent is less than 30 euros for everything ! FAVORITE FOR ...... 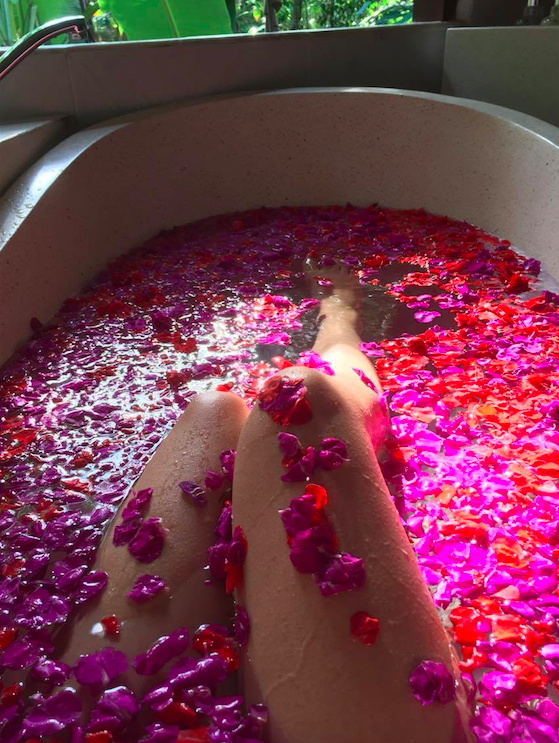 The Flower bath experience ! This was my second spa experience few days after. 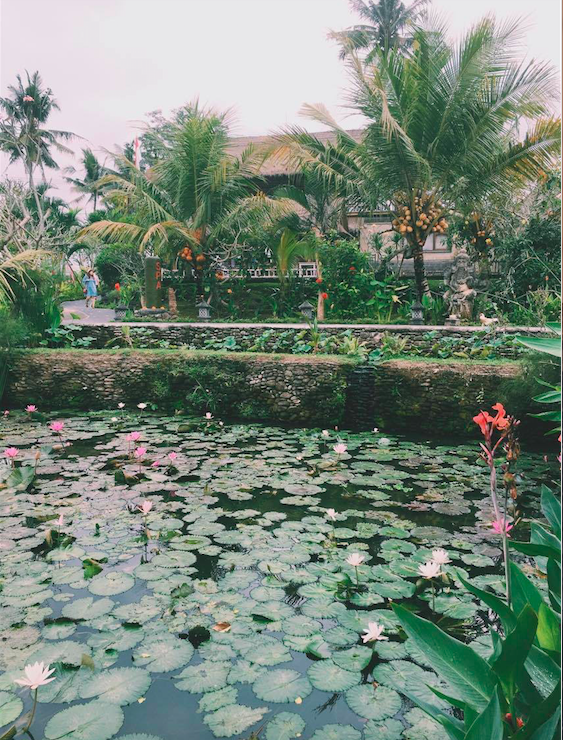 The place is in the centre of the old Ubud and it's a beautiful garden in the middle of the noisy city, which makes it pretty special. I had a 60 minutes balinese massage which I truly enjoyed also because I think that my brain was more in holiday mode than the first massage and it was really relaxing. But it was also the most "expensive" massage I had in the all holiday and I didn't find the service to be at the level of the previous centre . It was crowded and they didn't really take time to ask for our needs or information so it felt a bit rushed. However it has the advantage of being very centrally located so you can go by foot and even if you pass by Ubud for only a day it's easy to reach. Also there is a lovely cafe inside and I also think they have healing therapies , workshops and yoga classes but I haven't tried them. LOCATION : As I mentioned it's in the centre of the old city, so you can walk there easily, but of course also scooters and cars can get there. PRICE : Rp 375,000 for the 60 minutes traditional massage. FAVORITE FOR ...... Being an oasis in the chaos of the centre ! Just outside the centre of Ubud there is a stunning path called Campuhan Ridge Walk that takes you up to an hill from where you have a great view of the jungle and there at the top there is a little village where you find the Spa well indicated from the street. 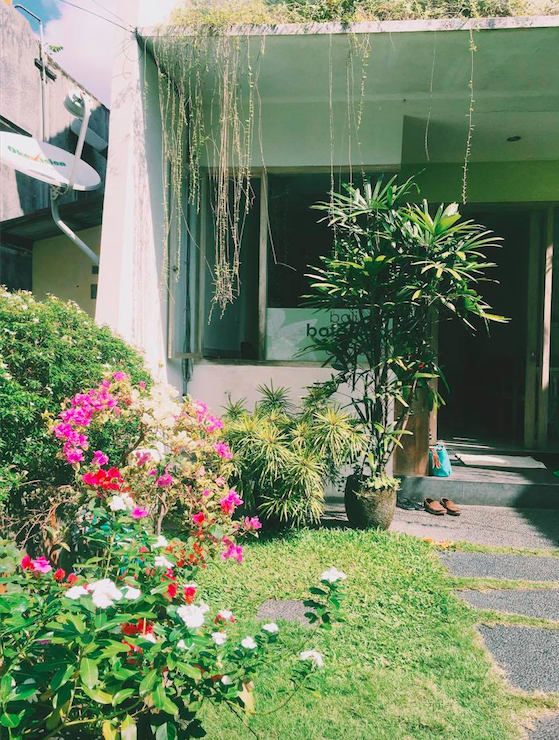 This Spa is very very popular so even if we booked few days before there was only a spot left at 9AM so we had to venture pretty early for the long walk to reach the location and the sun and humidity were already high, but it was well worth ! What makes the place special is the wonderful location that looks over the rice fields and the lush tropical garden where the treatment bungalows are located. The massage itself was very nice , but from what I remember I had chosen a deep tissue that was a bit too strong so I wouldn't say it was my favorite , but you can always communicate with the therapist at any time to change the pressure of course. LOCATION : At the top of the Campuhan Ridge walk outside of the centre of Ubud. I think you can also get there by car from the other side of the hill. FAVORITE FOR ...... By far the best location for me ! 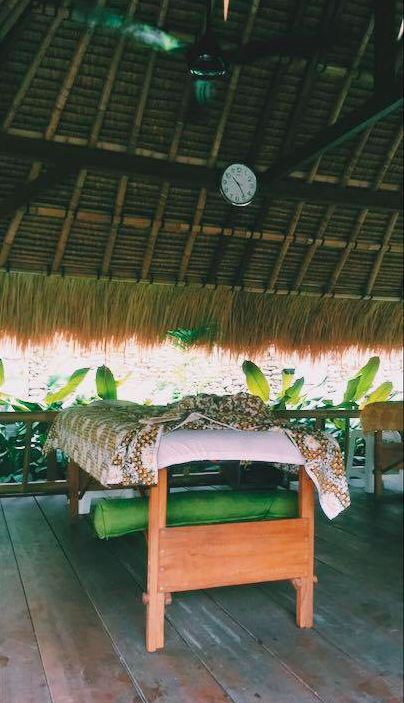 This was my last massage in Ubud and probably the very best one. This Spa is family run and yo can feel the family vibes in the air and all the people working there seem very connected and friendly with each other which was lovely to see. The location is not the most extravagant, it is relatively small but there is great attention to details and you can see that they care to keep their standards high and have happy customers. For example they took the time to offer a great foot scrub and bath before the massage which I highly appreciated and I loved the decoration of the massage room as well ! Maybe if you had time to choose just one place I would pick this one, especially for the treatment itself and kindness of the therapists. LOCATION : Outside of the centre, you can ask for the free pick up here. FAVORITE FOR ...... Best massage and attention to details ! This is the only massage I had in the last week of the trip when I moved from Ubud to Seminyak and it's one of the oldest spas in Seminyak. 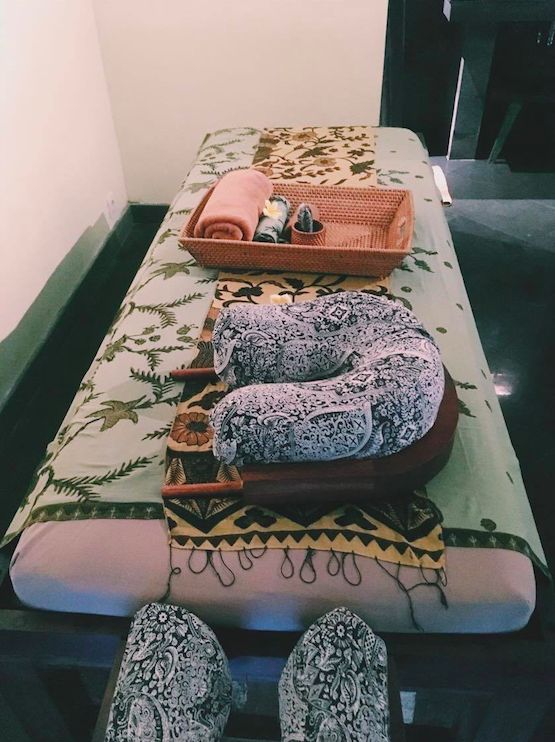 I originally wanted to have a massage in their Ubud location but then I opted to visit something else since I have had already enough massages there ( I know balinese holiday life is full of tough choices !) and I was very happy with my choice. 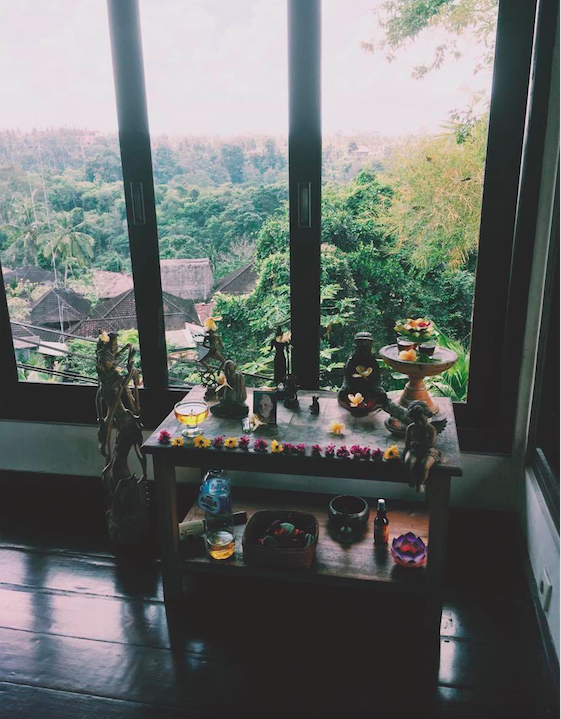 The location is very charming and I had a great quality massage, however I have to say that the service you find in Ubud is not replicated in Seminyak. Here I didn't have the initial form asking me for the "pressure" I wanted or if there were areas to avoid, and overall the place is huge so I feel they didn't pay so much attention to the experience of each client as much as in the other places I tried, which is maybe understandable given the very touristic location in the centre of Seminyak which is very chaotic by itself. FAVORITE FOR ...... Being the last treat of my trip! On top of having life changing massages, I also practiced yoga regularly in the mornings. I wasn't planning to do a "yoga retreat" kind of holiday. 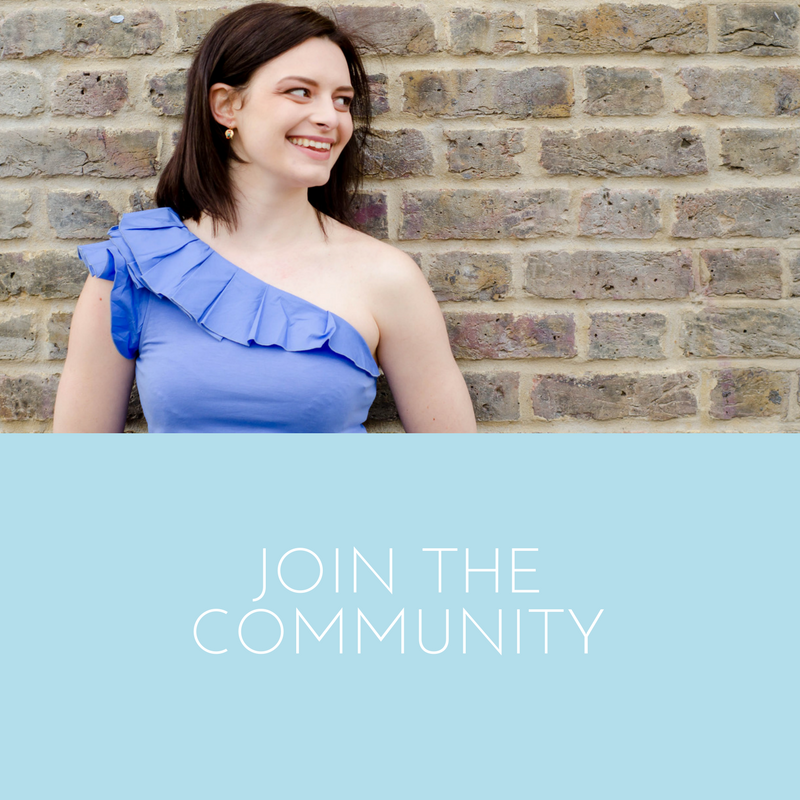 I simply wanted to take public classes in some good local studios and connect with the community for some early morning classes. And I was so happy I did it ! This is my absolute favorite studio in Ubud. It is located more precisely in Penestanan, which is the area high up a hill next to Ubud centre and it is where my accommodation was. The studio is just one room, cosy and familiar and that's what I loved about it. I practiced there for two weeks and I tried classes with most of the teachers, including the very sweet and welcoming owner Linda , and a mix of foreign and local teachers. What I enjoyed, apart from the calm atmosphere and the intimacy ( most times there were between 10-15 people) was breathe - taking view of the jungle all around the open windows of the room, and the schedule that offered a good rotation of classes during the week, which allowed me to practice with different teachers going each day and about the same time. If you're visiting Ubud I strongly recommend practicing here, and cherry on top, just next to the studio there is the delicious Yellow Flower cafe with healthy organic dishes, from local Nasi Goring to the best smoothie bowls and juices. 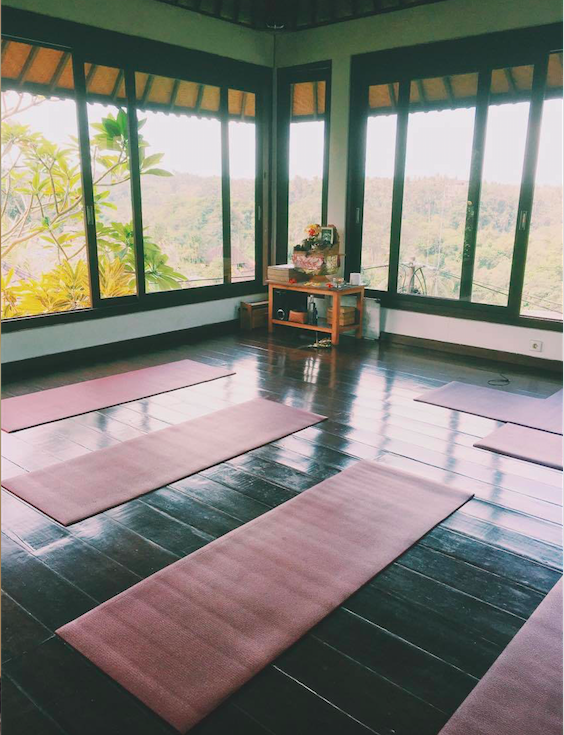 LOCATION : The studio is in Penestanan area which is up the hill from central Ubud. There are some stairs that connect you easily from the Bintang supermarket to the studio in about 10 minutes. 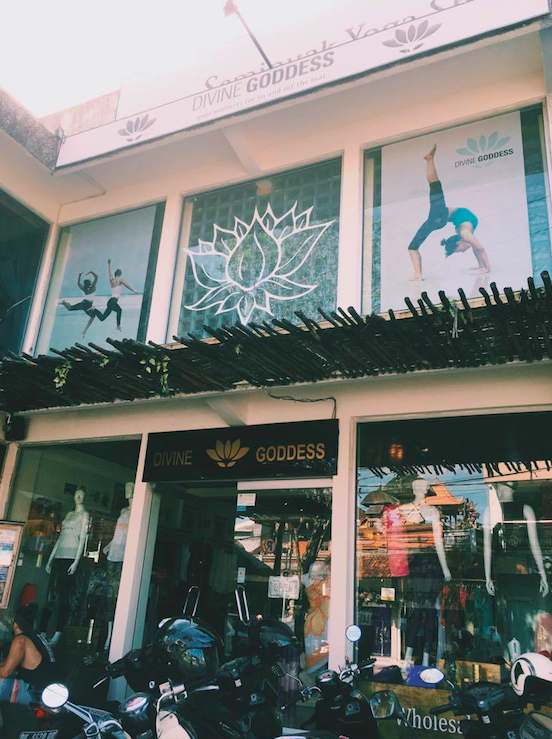 When I moved from Ubud to Semyniak it was a bit harder to find a studio because in general there is more of a beach and party culture there compared to the cultural and wellness oriented vibes of Ubud, but I really enjoyed this studio which is on the top of a yoga shop and I took a few ashtanga classes with the founder who is a lovely lady from Croatia and some nice Vinyasa Flow ones too. PRICE : I couldn't find the exact price on their website, but I remember I had taken a 5 classes card for convenience. Save them for your next trip and let me know what you think ! DO you have any places to RECOMMEND ? share them in the comments below !